With its sights set on a market launch, Drinor will soon be able to tick off one of its major goals. A few days ago, the company signed an agreement that will result in quality assurance of the CDP dewatering process and prepare it for a market launch. In autumn 2015, Drinor entered into a “letter of intent” with Rindi Älvdalen AB, which together with its subsidiaries and associated companies is part of the Norwegian Solör group. A few days ago, the company took the next step and signed an agreement on the installation of a full-scale demo machine. “We have now reached one of our milestones. It has long been one of our big goals to bring a machine to market in order to verify the technology. We have been talking about our existing machine developed in laboratory conditions for the past two years and now we get to put it to the test,” said Alexander Thelander at Drinor. It is no coincidence that the demo machine is being installed at Rindi. The installation will make it possible to also test the machine for use with other materials, and Rindi itself takes a very positive view of the innovation. 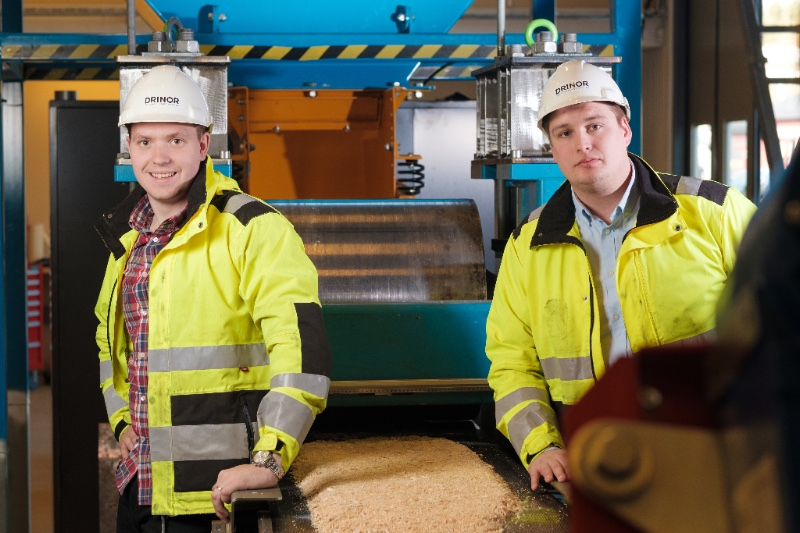 “Rindi is constantly looking for cost-effective solutions for pellet production and we therefore value the input we receive from Drinor, with its spirit of innovation and enterprise and ability to collaborate,” said Tomas Wiklund, project manager at Rindi. The machine will be assembled on site at Rindi in Älvdalen already in January 2018, and there is much to do to prepare for the installation. The full-scale demo machine must be tested and inspected before being dismantled and shipped to Älvdalen. Once the demo machine has been installed and is ready for use, a six-month long test period awaits. “After a running-in period, the machine should be capable of dewatering up to 100 m3 of sawdust per hour,” said Alexander. Based on the lessons learned during the test period, Drinor will continue to develop and begin production of machines for commercial use. 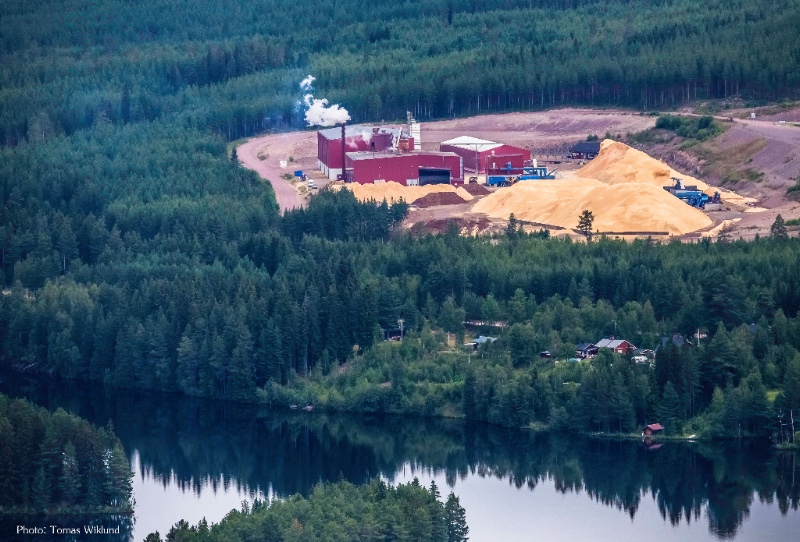 “In the long run, this could make it both easier and cheaper to reduce the biggest production bottleneck in terms of cost, the drying of sawdust, resulting in increased output,” said Tomas Wiklund at Rindi. The innovation has attracted a lot of attention and interest. In the space of just a couple of years, the machine developed in laboratory conditions has been replaced with a full-scale demo machine and a commercially viable product will soon be reality. “Drinor has been on an incredible journey these last few years. Last year we were granted support by the Swedish Energy Agency and we are now a tight-knit project team working towards finally being able to demonstrate our groundbreaking technology in an industrial setting,” said Alexander. Drinor was established in 2015. The innovation eschews the traditional method of dewatering biomass through a thermal process. Instead, water is squeezed out through a mechanical process involving a pair of rollers and a perforated steel sheet. As a result of its work on developing the machine, Drinor has been able to gain unique expertise in the area of mechanical dewatering and the process of bringing the innovation to market is being closely followed by several different market segments. 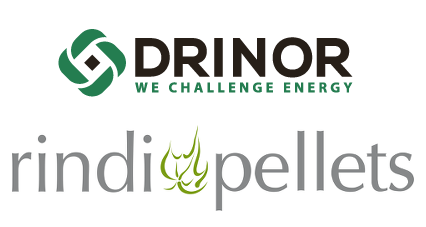 Rindi is a pellet manufacturer that currently relies on thermal drying for all steps of the drying process. The company is interested in reducing its energy consumption but also believes that mechanical dewatering may be a way of increasing output and improving the quality of pellets in the long term. Rindi is a pellet plant with annual production of 75,000 tonnes of pellets.